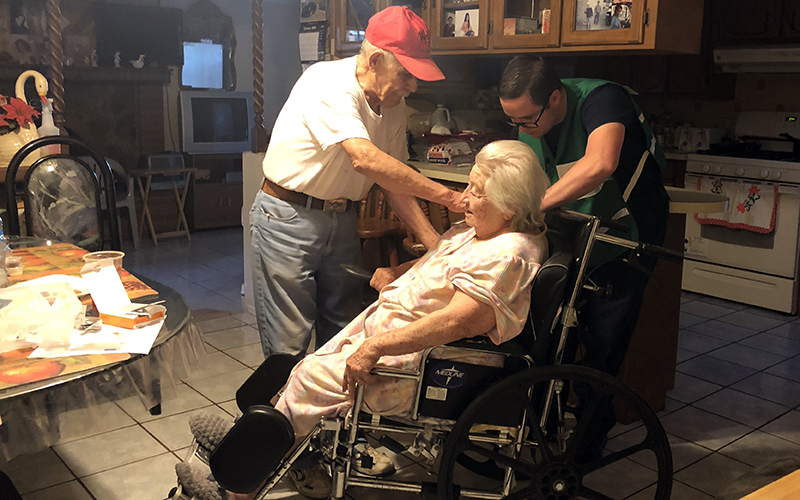 NACO – Francisco Romo wasn’t sure why volunteers had come to his small home to vaccinate him and his wife, Lydia, but the elderly couple complied. They’re now protected against hepatitis A, B and tetanus. The reason for the house call lies just a few yards from the Romos’ house. A burst pipeline is leaking raw sewage at a rate of 300 gallons per minute every day as officials figure out a way to permanently fix it. 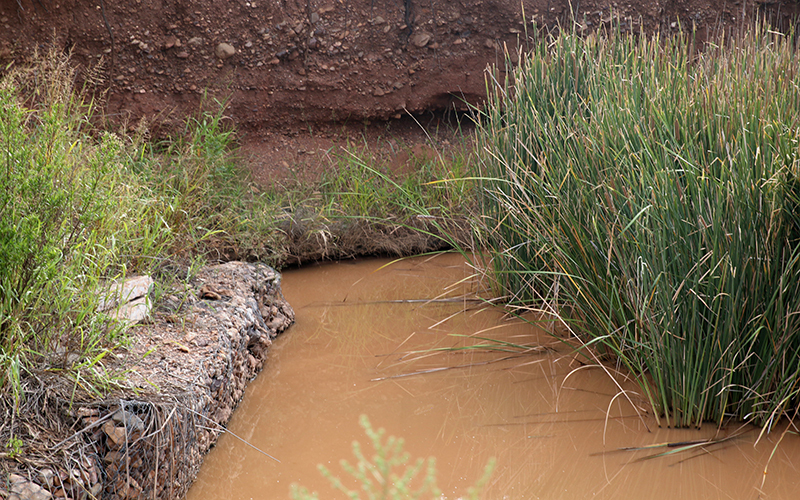 Cochise County officials declared a state of emergency on Sept. 9. 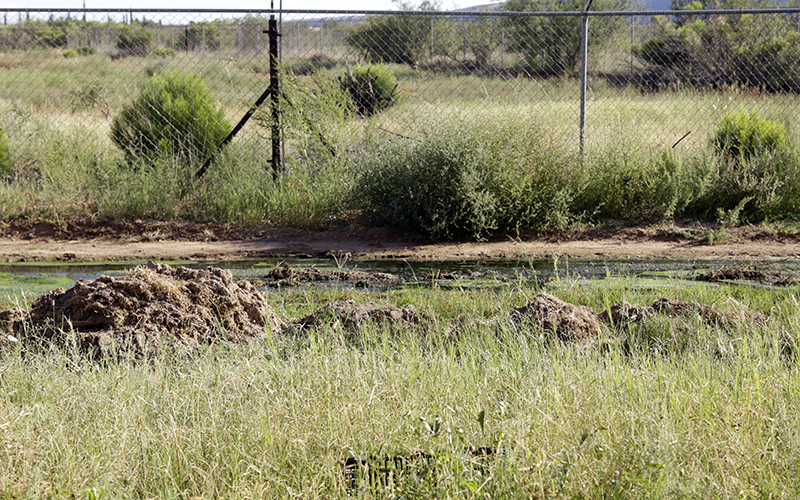 Leaking transborder pipelines have been an off and on problem in this small border town for over 30 years, but this is the first time the toxic sewage has reached residential areas. Cochise County officials say the problem originates in Naco, Sonora. County officials declared a state of emergency after the Board of Supervisors realized it needed additional resources and assistance to tackle the issue. Among services offered to residents was a free health clinic, which included vaccinations to protect them from pathogens that could be present in raw sewage. Health authorities wanted to reach as many residents as possible who could be affected by the spill, which is why the Romos received a house call. Nevertheless, Naco residents remain concerned. Schools, businesses and homeowners rely on a sole-source aquifer for their drinking water, and they’re worried that pollutants will leach through the soil and contaminate the groundwater. 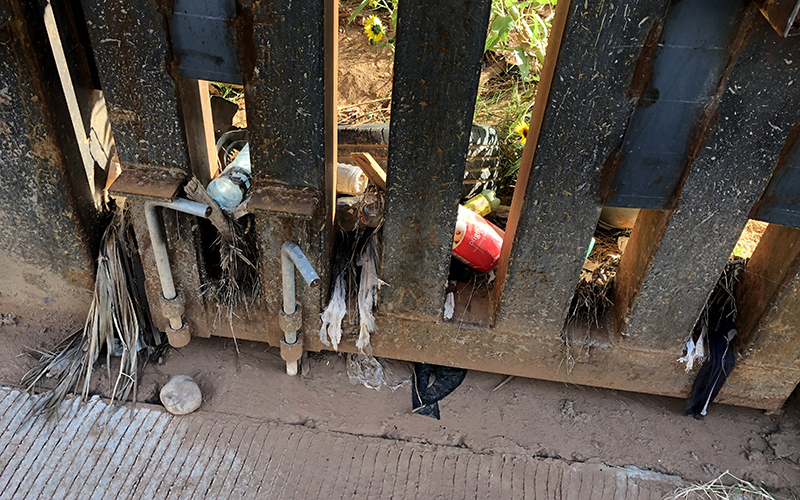 The county is working with the Arizona Department of Environmental Quality and the University of Arizona for in-depth testing. Gabe Lavine, the Cochise County emergencies coordinator, said the amount of tests being done to the water is extensive. Until test results are known, authorities are using chlorine tablets and lining flow areas with hydrophobic filters to remove potentially harmful contaminants. 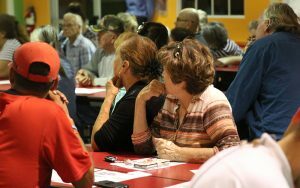 A Sept. 21 town hall hosted by Cochise County officials allowed residents to voice frustrations and concerns. Authorities noted challenges in the repair process. 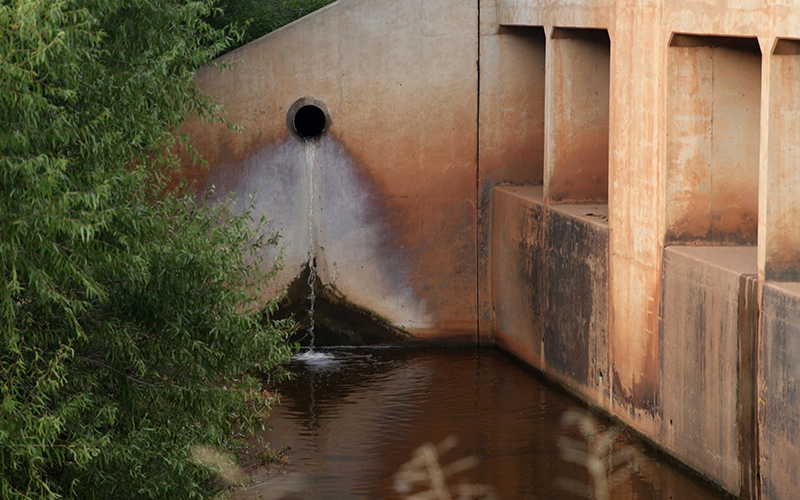 “When that repair takes place, we’re anticipating another flow to come across because they have to flush out the system,” said Amanda Baillie, a spokeswoman for Cochise County. Ray Falkenberg, deputy director of the county health department and public information officer, said state and federal governments on both sides of the border will have to cooperate to find a permanent solution to the leaking pipeline.